Two nights ago I stood in my husband's arms crying. Bawling actually. As I sobbed, I managed to choke out a few sentences. Why have we had to wait this long? I...just..want...to adopt. I don't understand. We just don't have the money. And then our precious little Z, our three year old, upon hearing the words adoption and money came to me and said, "Mom, I have money for the adoption". She then proceeds over to our coin jar and took out 35 cents (a quarter and a dime) and brought them to me with a smile on her face and said, "Here is the money for the adoption mama so you aren't sad". Aww...to have faith like a child again. Yet, I wasn't sad any more and she did put a smile on my face through the tears. 35 cents. That is all it took to change my spirit. My point is, you just never know. What you give may change someone's spirit, someone's outlook on their adoption, their mission, their passion. You just truly don't know. Every little bit counts, every little bit adds up to a bigger bit. 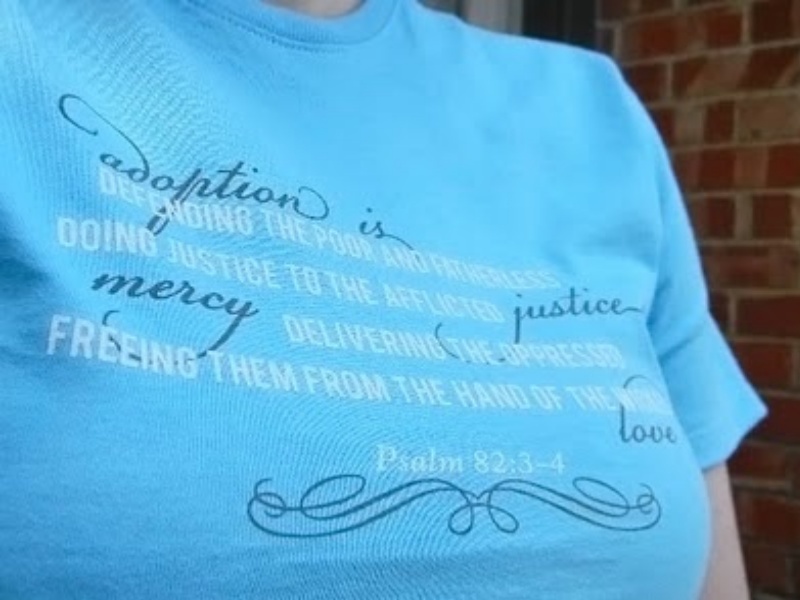 Are you willing to give your $5 to defend adoption? Are you ready to bring a child home? All it takes is $5. I can't wait to see what God can do with the faith of a child. Bless her little heart. She is a darling and wants her mama to be happy. What a treasure, that she gives so freely! It is enough to melt the coldest heart. Beautiful story. What a generous, compassionate little heart. She definitely does have a sweet spirit that is willing to help wherever.